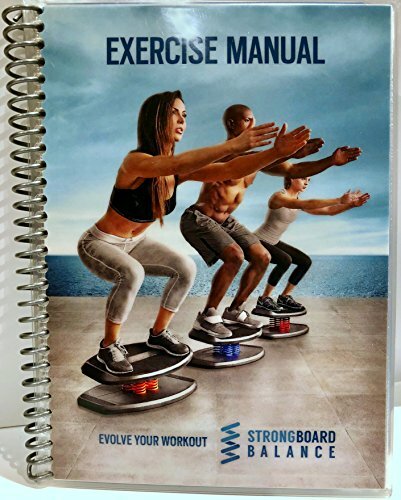 The StrongBoard balance exercise manual is a must have for every StrongBoard owner. This guide is perfect for individual users or personal trainers, as it shows each of the 6 StrongBoard balance positions and details the primary and secondary muscles being used for each exercise. StrongBoard exercise manual is 5" x 7", with rugged spiral binding. Every page is full color and coated with 3 mm laminate making the book virtually indestructible. It comes with a 2" x 4" strip of Velcro for easy attachment to the board making it accessible whenever you want to work out. Whether you are purchasing this for your busy gym or your home, StrongBoard exercise manual offers basic positions, core fundamentals and even restorative yoga poses. Add the StrongBoard balance exercise manual to your purchase today and give yourself everything you need to optimize your workout. If you have any questions about this product by StrongBoard Balance, contact us by completing and submitting the form below. If you are looking for a specif part number, please include it with your message. Fitterfirst Professional Balance Board - 20"
Fitterfirst Professional Balance Board - 16"